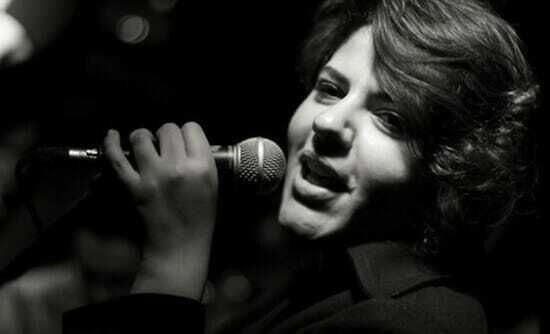 Shereen Abdo is a vocalist, activist and key figure in an emerging Cairo folk music scene. Her diverse musical interests have led her to develop a hybrid style incorporating both traditional folk and contemporary experimentation. Since being invited onstage by chance three years ago, Shereen has developed into a versatile and ambitious singer, working in genres as varied as electronic, jazz and progressive rock. Largely self-taught, she has collaborated with renowned musicians such as Sheikh Zein and Fathy Salama, performed with the prestigious Al-Warsha theatre troupe and toured with the politically minded Cairo-based outfit Habaybna. 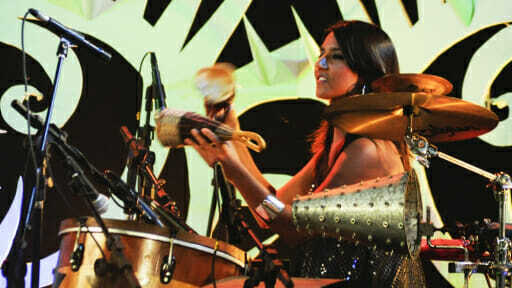 Shereen has also be an active contributor to Fan al-Midan, an activist-based outdoor performance series. In 2012, she made it to the top 15 in Rolling Stone Middle East’s “Street to Stage” competition. Recently, Shereen’s new project Xtremental, a collaboration with arranger Sherif Alaa, performed as the opening act for the Hay Festival at El Genaina Theater in Cairo. She is currently supporting composer Ziad Rahbani on his Summer 2014 tour of Lebanon.